Asbestos exposure was a common problem for South Carolinians, particularly those in the mining, textile and shipbuilding and ship repair industries. Although exposure threats were curbed over the past few decades, asbestos remains a threat for some state residents. Vermiculite ore, which contains trace amounts of harmful asbestos, continues to be mined in Enoree, and exposure continues to occur at coastal shipyards. Between 1999 and 2013, asbestos exposure caused more than 600 deaths in the state, ranking it 21st in the country for asbestos-related deaths. About 470 of these deaths were from mesothelioma, which is caused by asbestos exposure. Despite the state’s asbestos-related deaths, South Carolina lawmakers made it more difficult for workers to file asbestos claims. South Carolina is one of a handful of states that introduced these restrictions. 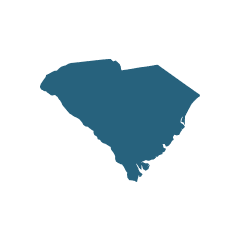 In South Carolina’s case, potential claimants must be able to provide a high level of specific medical information about their disease and asbestos exposure. If lawmakers hoped to narrow the roster of asbestos lawsuits in South Carolina, they appear to have succeeded. Many of South Carolina’s asbestos problems stem from the vermiculite industry. While vermiculite ore is not dangerous alone, it is now known that it often contains asbestos. With naturally occurring deposits in the northwest region of South Carolina, vermiculite processing was once a major industry. In addition to mining naturally occurring deposits in the state, South Carolina corporations also received hazardous shipments of the mineral from Libby, Montana. South Carolina residents who did not work with vermiculite may still be at risk of developing asbestos-related illnesses such as mesothelioma. South Carolinians are at an elevated risk if they made asbestos textiles, a common job in Charleston. Studies show these workers have significantly higher rates of pleural plaques and lung cancer. Other individuals who may have been exposed to asbestos are former shipyard workers. Older ships commonly contained asbestos for insulation purposes, so people who worked in shipyards and helped build ships were probably exposed to asbestos. This is an especially large problem at ones controlled by the Navy, such as Charleston Naval Shipyard. Raybestos-Manhattan’s North Charleston facility was an asbestos textile plant, and employees were exposed to asbestos during spinning and weaving processes. As early as 1974, employee health was brought into question, and the National Institute of Occupational Safety and Health (NIOSH) conducted tests on air samples. Asbestos levels as high as 1.6 asbestos fibers per cubic centimeter were found. The highest concentrations, found at yarn spinning stations, were 16 times higher than today’s acceptable workplace maximum. These high levels of asbestos exposure put former employees at a high risk of developing asbestos-related health problems such as lung cancer and pleural plaques. In October 1986, 41 former asbestos workers and surviving family members filed a claim related to asbestos exposure at Raybestos-Manhattan’s North Charleston plant. The claimants brought legal action against Turner & Newall, Ltd., Turner Asbestos Fibres, Ltd. and Bell Asbestos Mines, Ltd., three foreign companies that allegedly supplied Raybestos-Manhattan with the asbestos that caused their illnesses. The district court dismissed the claim, however, after finding no evidence the defendants shipped raw asbestos to the North Charleston plant. A 1997 lung cancer study confirmed the highly hazardous work conditions for South Carolina asbestos textile workers. The results showed that 18 percent of workers developed lung cancer, and it was at a rate three times higher than expected in a controlled population. The study also noted that 31 percent of asbestos workers developed pleural plaques, compared to only 3 percent of the control group. The Savannah River Site (SRS) in Aiken, South Carolina, is an active industrial complex managed by the Department of Energy. The site is dedicated to nuclear materials and environmental management. From its start in 1950 until 1986, it was run by the DuPont Corporation. For this 36-year period, employees were commonly in contact with hazards, especially asbestos. Conditions in the facility prompted NIOSH to study retroactively the effects of occupational hazards. In 2008, NIOSH released a review of the 19,000 workers employed at SRS before 1986. 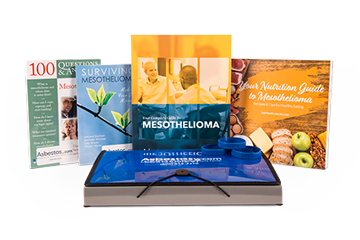 The results suggested that SRS workers had a higher rate of pleural mesothelioma, as compared to the general population. The study noted that the rate of asbestos exposure at SRS has decreased since 1986, and mesothelioma cases are expected to taper accordingly. South Carolina is the largest producer of vermiculite in the United States, which poses a threat to state residents. Although the mineral is not dangerous, vermiculite ore often contains large amounts of asbestos. People who worked at or lived near vermiculite mines or vermiculite processing facilities may have been exposed to asbestos. Most of South Carolina’s vermiculite ore was retrieved from the state’s vermiculite mines. Ore was mined at two sites in the Enoree district, located in the northwest part of the state. One site was run by Patterson Vermiculite Company, and the other, larger mine was run by W.R. Grace. As of 2003, W.R. Grace’s Enoree facility was one of only two remaining vermiculite producers in the United States. Like vermiculite from Libby, ore mined at both Enoree facilities was found to contain asbestos but in much lower concentrations. Some of South Carolina’s vermiculite threat came from Libby, Montana. Vermiculite from Libby is now known to contain high concentrations of harmful asbestos. Before this was discovered, millions of tons of vermiculite were shipped from Libby mines throughout the United States, with South Carolina processing facilities receiving 8,800 tons. Asbestos was distributed among four South Carolina companies, but the Zonolite/W.R. Grace facility in Traveler’s Rest received most of it. Conditions at this facility were dangerous for employees. Workers did not receive respirators, and as a result they breathed air that contained more than 2.5 asbestos fibers per cubic centimeter. This is more than double the average concentration within Libby mines. South Carolina passed the Asbestos and Silica Claims Procedure Act of 2006 to limit case filings and help ensure the people who are physically impaired by asbestos exposure have their cases resolved as soon as possible. The act established strict medical requirements that must be met before filing a claim, such as credible proof of an asbestos-related disability. For example, the act requires cancer patients to provide a report from a physician board certified in pulmonary medicine, occupational medicine, internal medicine, oncology or pathology. The report must conclude the claimant was diagnosed with mesothelioma or another asbestos-related cancer, and that asbestos exposure caused the diagnosis to a reasonable degree of medical certainty. The updated requirements also preserve the legal rights of those who were exposed to asbestos but have yet to show signs of illness. If these people become sick in the future and can link the physical impairment to asbestos, they can then file a legal claim to seek compensation. Claimants with noncancerous asbestos-related disease must meet a long list of requirements to file a claim, starting with proof that at least 15 years have passed since the date of the first exposure to asbestos and the date of diagnosis.